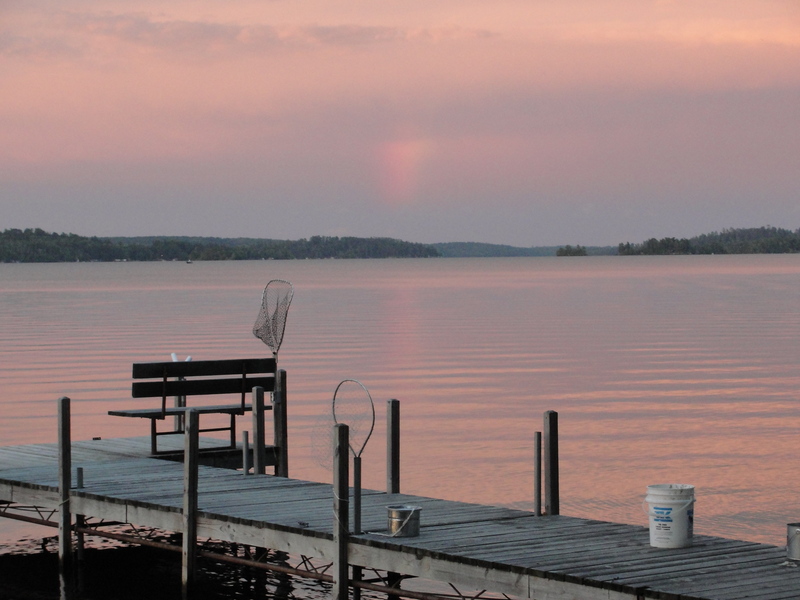 This past weekend, my kids and I went up to my boyfriend’s family “cabin” on Lake Vermillion, in MN. Let’s just say, if this is a cabin… WOW!! The house was gorgeous, as was the entire property! His grandparents live in the house, and it has 5 or so extra bedrooms, so people can visit all summer long. 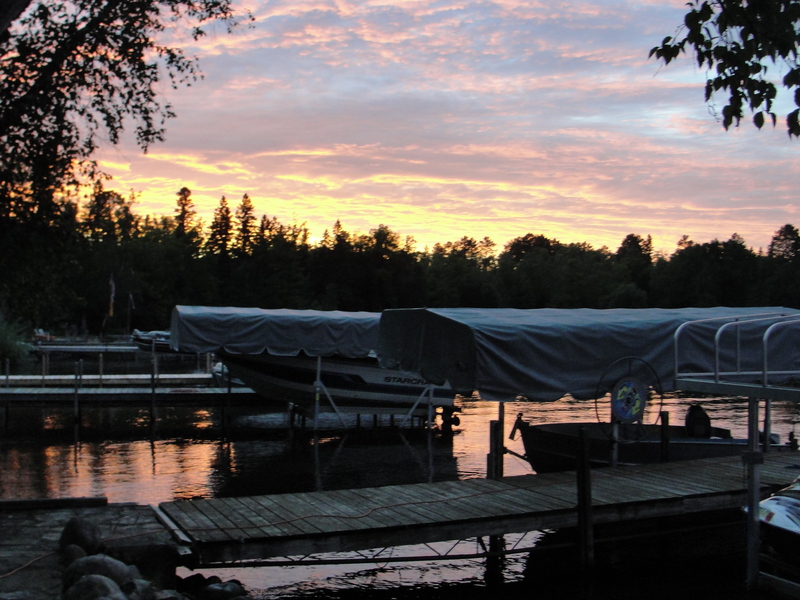 There are 3 docks, a beautiful boat house that rivals any lodge at a summer resort, and a sauna! 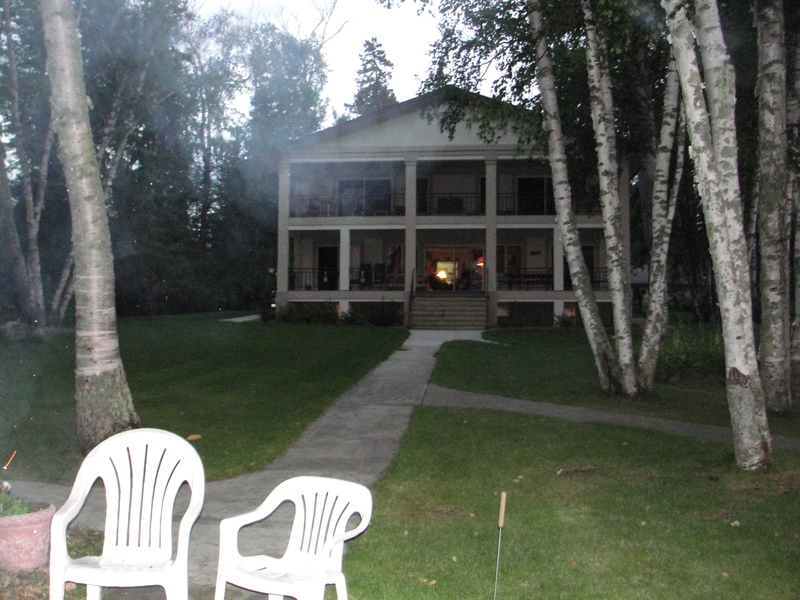 Yeah, we were really “roughing it”! The forecast for the weekend was RAIN. UGH! Not what we had hoped for! Luckily, the forecast was completely wrong!!! We had 2 beautiful days!! Going up to it, I was a little nervous. Michael is a very busy 5 year old boy, with some aggressive tendencies lately… I was nervous that he and Jason’s 3 boys would get into it. Luckily, because of the sunshine, they spent so much time working together to find crawfish, rocks to skip, taking turns on the tubes, etc, they barely thought about fighting! In fact, the other 4 kids were even encouraging Michael to jump off the dock, and waited in the water to catch him! 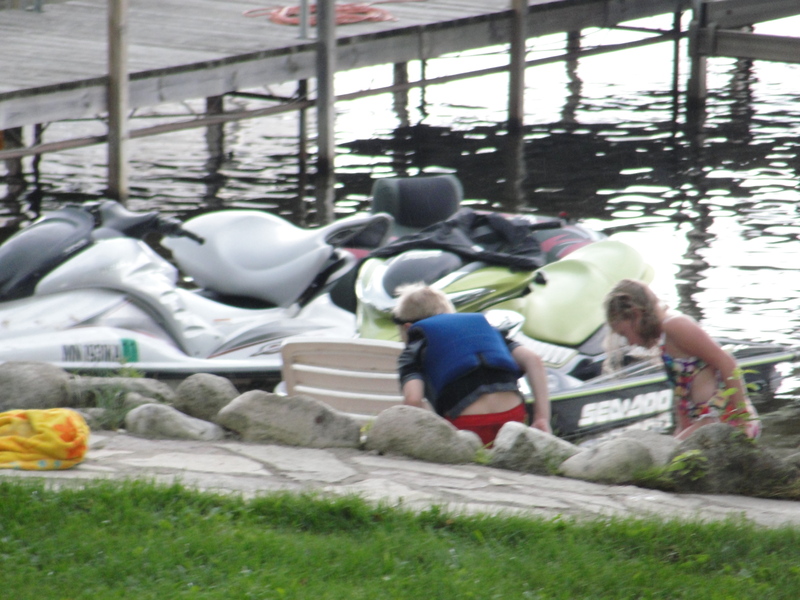 While Jason took the kids out tubing behind the jet ski, I sat on the dock and took pictures. I also picked up sticks to burn, chit chatted with his mom and grandma, stared at the fire I had going all day on Saturday, and really, just enjoyed the weekend! Jason LOVES to jet ski. 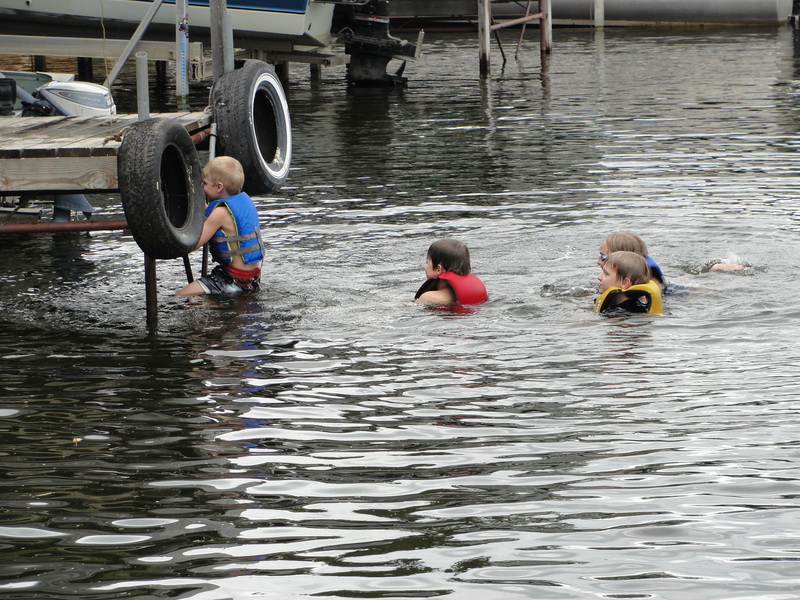 All summer, he’s been saying how he wished he could have jet skied more. The reality is, when you drive 2 hours one way to see your girlfriend once a week, on top of working 60-70 hour weeks, there just isn’t much left over time. 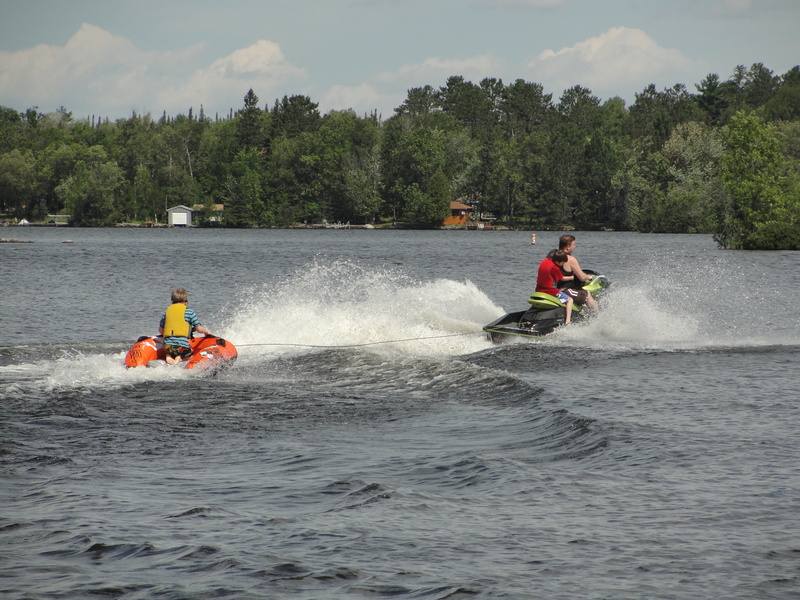 Vacation week came, and he spent the first half of the week re-doing hardwood floors, and the second half of the week at the cabin, jet skiing! I haven’t seen him this relaxed in a LONG time!!! Even though his days were full pulling 5 kids around in tubes (2 at a time), he also got some time to cruise around on his own, or with passengers on the jet ski. He was wiped out at the end of each day, but a good wiped out (if that’s possible). I got to be a passenger on the jet ski, which was scary (since I like to be in control a bit, and obviously, couldn’t be), but it was a lot of fun!! On Saturday, Jason took me out as a passenger to Big Bay, where we were jumping waves that were probably 2-3 feet. I was so scared at first, but once I figured it out, we got into a groove, and it was a LOT of fun! I was sitting behind him, but I could imagine the glee on his face as we approached the really big waves. Everyone found so much joy in just playing outside – enjoying what God put there for all of us to enjoy! It was a great couple of days!